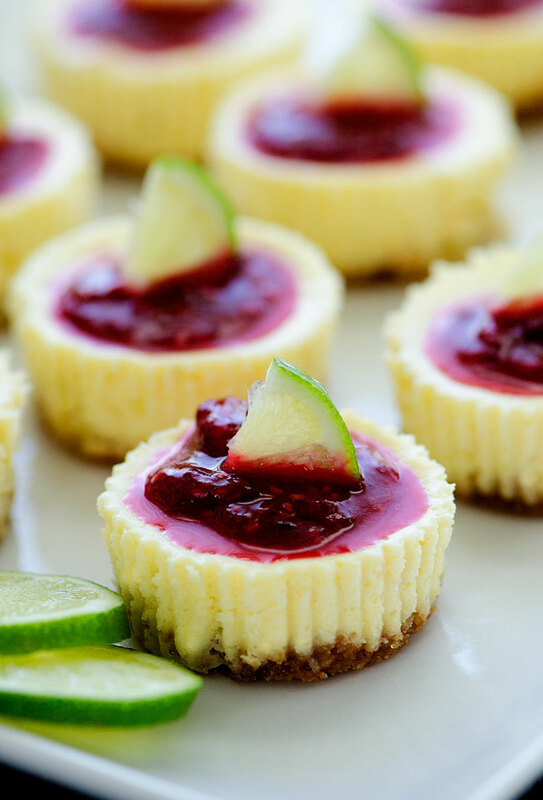 Mini Lime Cheesecakes with Raspberry Sauce have become one of my favorite flavor combinations of cheesecake. 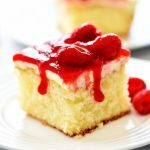 The tart lime flavor pairs so well with plain cheesecake, and the raspberry sauce makes them even more delicious! 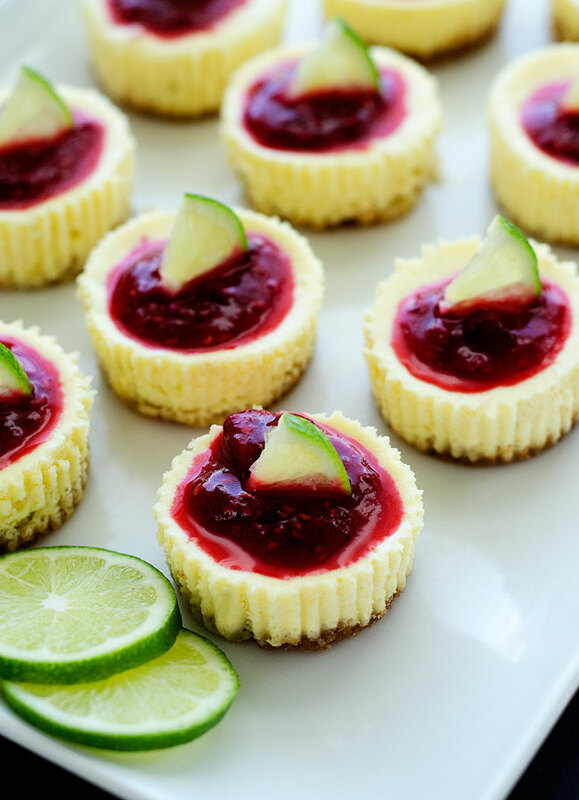 These Mini Lime Cheesecakes with Raspberry Sauce have become one of my favorite flavor combinations of cheesecake. It is soooo good. 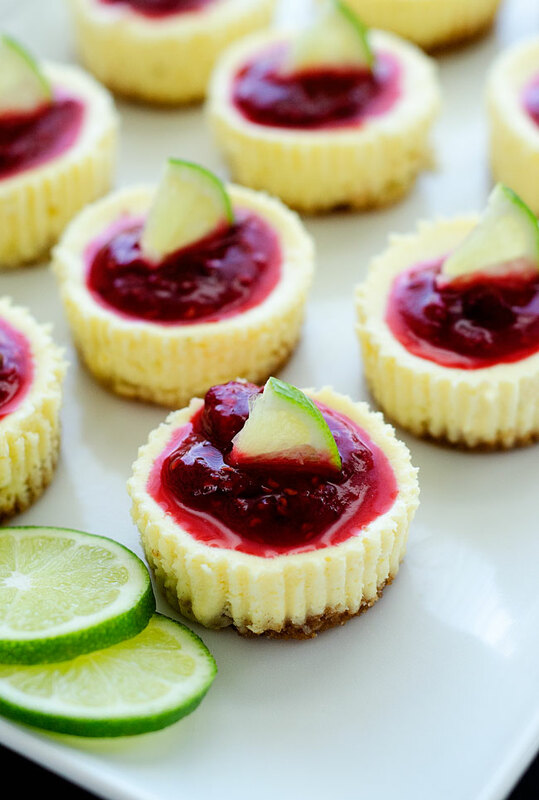 The tartness of the lime pairs so well cheesecake. And the raspberry sauce just makes it even more delicious. 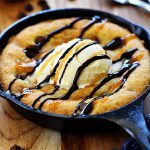 I think I’m going to make them for our Cinco de Mayo dinner celebration. When I think of limes I think of Mexican food, so these would be a perfect way to end a Mexican meal. 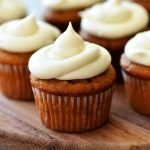 Not only are these mini treats fun and yummy- they are perfect for parties. 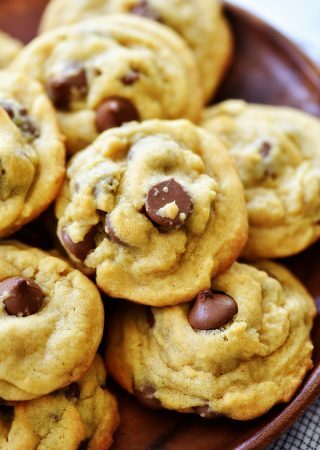 They’re super easy to make, to transport and to devour! They won’t last long either. Trust me on that! 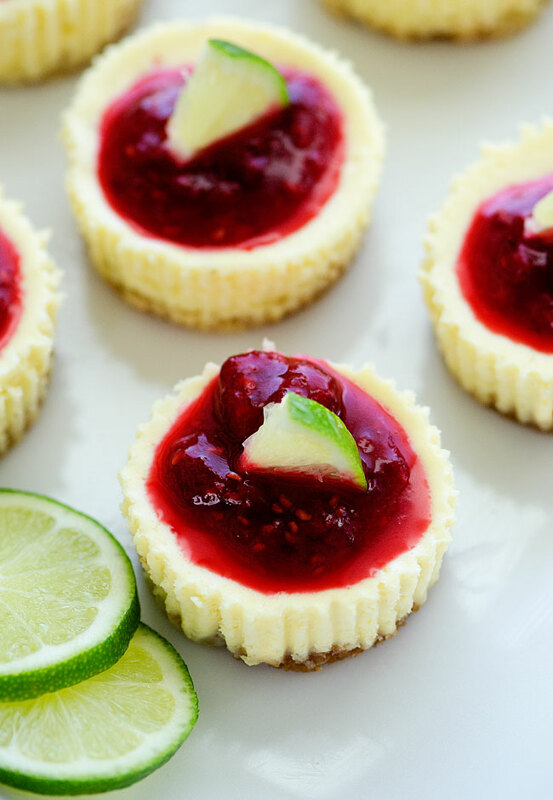 Lime and raspberry flavors go hand in hand making these miniature cheesecakes one yummy treat! Preheat oven to 300° F. Place 24 cupcake-size muffin liners in two 12-cup muffin pans. Spray the liners lightly with cooking spray. 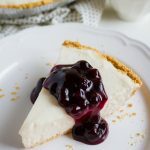 For crust: In a small bowl, stir together graham cracker crumbs, sugar and melted butter, then press about 1 Tablespoon of mixture firmly into the bottom of each liner. Set aside. 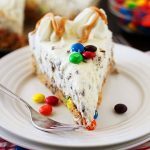 For filling: Using an electric mixer, beat the cream cheese and sour cream until smooth and creamy. Add the eggs, one at a time, beating well after each addition. Add the sugar, lime zest, lime juice, cornstarch and vanilla and beat until smooth. Pour the filling into the prepared crusts. Bake about 20 minutes or until the tops are lightly brown. 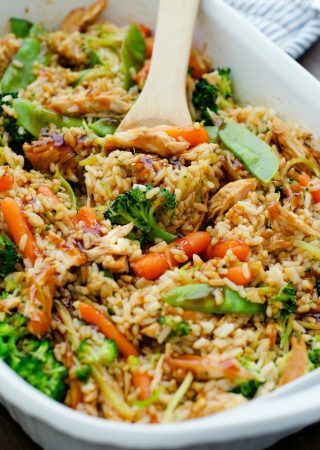 Let cool completely then cover and refrigerate for at least 2 hours before serving. For Raspberry sauce: Process thawed raspberries, sugar, lime zest and water in a food processor or blender until smooth. 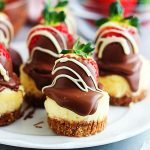 Chill for at least 1 hour before drizzling over the cheesecakes. Serve and enjoy!